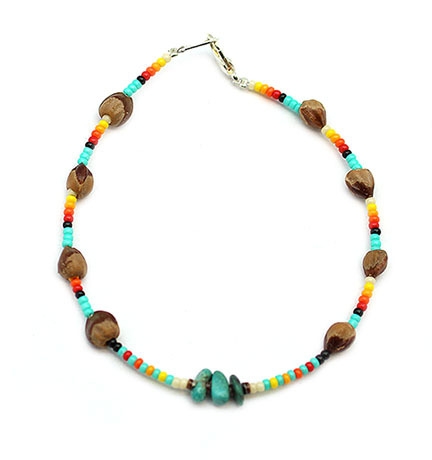 Assorted seed bead with ghost beads and 2-3 turquoise nuggets in the center. It meausres approxiamately 8 1/2" long including silver plated findings. It is Navajo hand crafted by Andrea Begay. Colors of seed beads and color of turquoise nuggets may vary. You may not get color that is pictured.